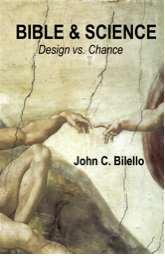 Bible & Science: Design vs. Chance - a new book published by the Christadelphian Tidings – the Fraternal magazine for Christadelphians in North & South America. The greatest modern challenge to faith in the Bible is the dogma that is called Darwinism. The concept that the Universe, and all that is in it, came about by pure chance is counter to all sound Bible teaching. To compete with these pervading theories we should not resort to blind faith, instead we should rely on the principle that God is the author of both the Bible and nature. If we accept this premise then the Word of God and the observations of scientists need not be in conflict. The purpose of this book is to show that there is no conflict between the creation stories as told in the Holy Bible and the findings of modern science. The book covers the early chapters of Genesis from the creation of the universe through the deluge in the days of Noah. The Bible record is placed in juxtaposition to the scientific evidence usually presented to justify the origin of life as the result of blind chance. 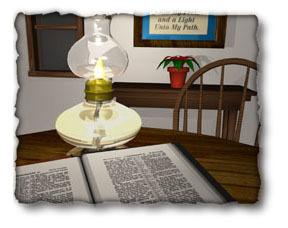 The level of science and Bible knowledge is kept at a level that is readily understood from teenage to senior citizen. Sunday School teachers, clergymen, young people, parents etc. In fact anyone who is disturbed by the seeming conflict between science and religion. The level of science and the depth of Bible knowledge should be comprehensible to the serious student from teenage to senior citizen. Do the Bible and science have anything in common?…… I believe in both the Bible and science and all that follows is written from that perspective. The sad consequence of ignoring this connection and attributing the natural world instead to the god of chance is that it removes any personal responsibility for men and woman to search for Truth in the things of the spirit. The Book is 254 pages long with copious footnotes for further study. It is illustrated with both artwork and explanatory figures. Introductory Price is $ 12 US for the soft cover edition and $ 20 US for the hard cover edition, plus shipping and handling. Copies can be ordered by contacting our agent: at marybilello@tidings.org. Please note that all proceeds from the sale of this book go to the Christadelphian Tidings Publishing Company. For pricing and delivery information outside of the United States of America, also contact the above e-mail address and your inquiries will be forwarded to our local agents in your area. Please contact the Webmaster if you have any comments or questions regarding this web site.